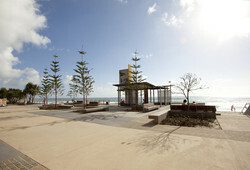 Take your pick of Coastal Queensland holiday package experiences travelling by train, coach or air. From a tropical island getaway on the Great Barrier Reef, a holiday to a sun-kissed beach in the Whitsundays or explore the lush rainforests of Cairns and the Daintree - the choice is yours! 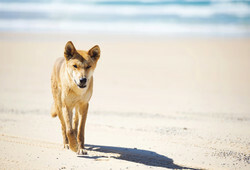 A comprehensive coastal holiday Including Fraser Island, Heron Island, Daydream Island, Magnetic Island, Cairns & the Daintree. This journey of a lifetime takes in some of the most iconic sights and magical sceneries the Queensland coast has to offer. Savour the beauty of the whitest beaches, lush rainforests and tropical islands. This is the ultimate coastal experience sure to excite all of your senses. Start your journey in Brisbane before embarking on the ultimate wildlife adventure at Australia Zoo. Enjoy free time in Noosa on the Sunshine Coast, followed by a trip Fraser Island, exploring ancient rainforests and white sandy beaches. 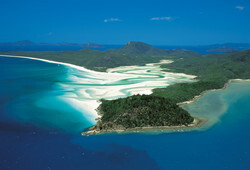 Visit Hervey Bay, Hamilton Island in the Whitsundays, The Great Barrier Reef and finish in Cairns. A fabulous coastal adventure visiting Cairns, Port Douglas, Daintree River, Mossman Gorge, Green Island, Townsville, Magnetic Island, Ayr, Bowen, Airlie Beach & Whitsunday Islands. Journey by Great Southern rail from Brisbane to Adelaide with magnificent coastal landscapes and Off Train Excursions along the way. From the blazing nightlife and breaks of Surfers Paradise, to the laid-back luxe of Byron Bay, this itinerary takes you through the heart of the Australian beach-loving paradise by car and rail, with plenty of opportunity to get sand between your toes. This tropical tour includes Cairns, the Skyrail Rainforest Cableway, Kuranda, Mareeba, Green Island, Mossman Gorge, Daintree River Cruise, Port Douglas, Paronella Park and travel on the Spirit of Queensland train. Explore Cairns, The Daintree, Port Douglas and Kuranda. 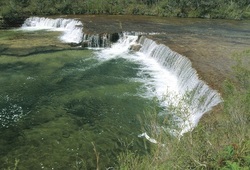 Then travel to Townsville, the cultural capital of regional Australia. 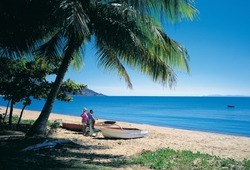 Visit Magnetic Island, with its wonderful wildlife, spectacular rocky coves and historic military sites. Join the new Great Southern train on this diverse journey from Adelaide to Brisbane. 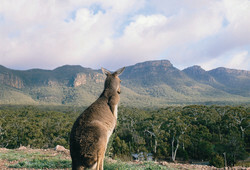 As each day unfolds on this very special itinerary, you’ll be captivated by Adelaide and the Grampians, uncover the unique culture of Canberra, the spellbinding beauty of the New South Wales coast and Brisbane, all while enjoying the creature comforts and romance of rail. Discover the people and places that capture the Queensland spirit as you explore lush rainforests and underwater wonderlands. This is the ultimate way to see the natural beauty of Queensland's coast. Enjoy Christmas Cairns Style! This group tour includes a sumptuous Christmas Luncheon at the Cairns Casino, Daintree touring, Port Douglas, Mossman Gorge and a calm water cruise on the Trinity Inlet. Discover one of Australia's great last frontiers between outback' and modern Australia, nestled in the rainforest splendour of Cape Tribulation. If you enjoy history, botany, adventure, getting off the beaten track, seeing the rainforest and the outback, then this is the trip for you. 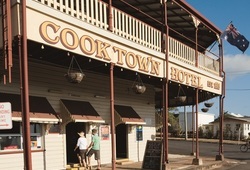 Enjoy 5 nights in Yepoon and visiting Great Keppel Island, the Capricorn Caves, Rockhampton, Footlights Theatre and spend 1 night in Seventeen Seventy. Just what the doctor ordered! 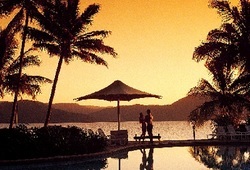 Unpack once for 6 nights in 5 star luxury at the Shangri-La in Cairns. Take a Daintree River cruise and Mossman Gorge Dreamtime cultural walk. 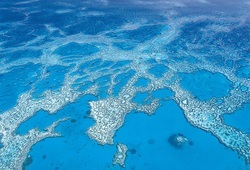 Dive into Green Island on a semi-submarine coral viewing tour. Get lost at Paronella Park Spanish Castle. Have an up-close experience with the sharks at Aqualuna Restaurant and Cairns Aquarium and ride the breathtaking Skyrail. 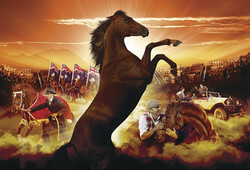 Enjoy 4 nights in 5 star luxury as we embark a jazz cruise on the Brisbane River, visit the hinterland paradise of Mount Tamborine, take an Aquaduck adventure from Surfers Paradise on the Gold Coast, take our VIP seats at the Australian Outback Spectacular and explore the Eumundi Markets and Noosa Heads + 2 nights on Tangalooma including hand feeding the wild bottlenose dolphins. Ho ho ho! Santa is coming to Fraser Island so pack your bathers and join in on the frivolity this Christmas! Fancy a Gold Coast Christmas this year? Just imagine ... balmy days, golden beaches, meandering canals, the Scenic Rim hinterland, Tamborine Mountain and the stunning Tweed River. 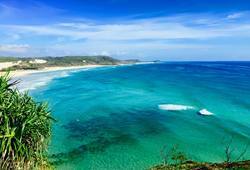 Includes Tilt Train from Brisbane to Fraser Coast, Hervey Bay, Fraser Island, Maheno Shipwreck, Seventy Five Mile Beach, Lake McKenzie with optional Whale Watch Cruise in whale season.